I am a huge fan of running to Starbucks and grabbing a Pumpkin Spice Latte. However I run into an issue once they stop selling it because I still want it. 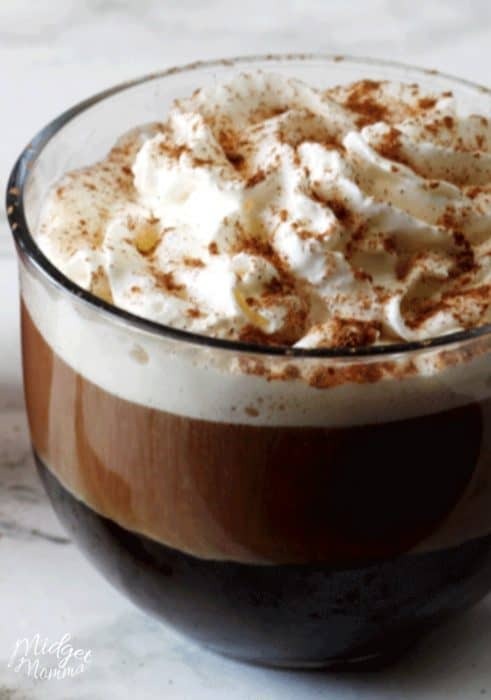 To save my sanity and the sanity of everyone else in my house I took the plunge at creating my own Starbucks Pumpkin Spice Latte Copy Cat Recipe. When you are wanting a Starbucks Pumpkin Spice Latte but you don’t want to leave the house this one is totally going to hit the spot! If you are looking for a pumpkin spice latte recipe without pumpkin puree you are in luck! 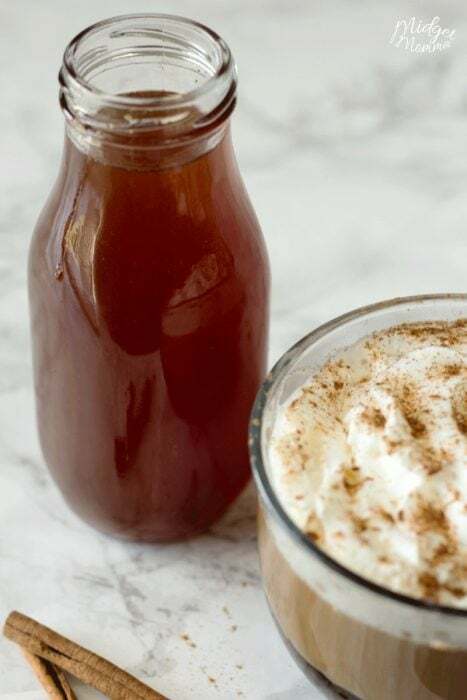 This simple pumpkin spice latte uses my Starbucks Pumpkin Spice Syrup copycat recipe. You will also want to use homemade pumpkin pie spice, you can use store bought however if you know me at all you know I like homemade as much as possible. Don’t worry, it is super simple to make! When you are wanting a Starbucks Pumpkin Spice Latte but you don't want to leave the house this one is totally going to hit the spot! 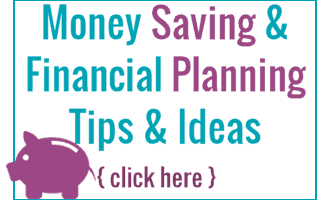 Pour the milk into a small microwave safe bowl or glass and heat milk in the microwave for 1 minute. Using a blender or a whisk froth your milk. You can also use a milk frother if you want to. Get your coffee mug and add in 2 tbsp Pumpkin Spice Syrup, then your coffee. Then pour in carefully the frothed milk. You don't have to but I like to stir mine a little bit before adding the frothed milk on top. Love Starbucks? 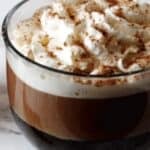 Check out these Starbucks Copy Cat Recipes, including Salted Caramel Frappuccino Starbucks Drink Copycat, Pumpkin Spice Starbuck Copy Cat Coffee and more! 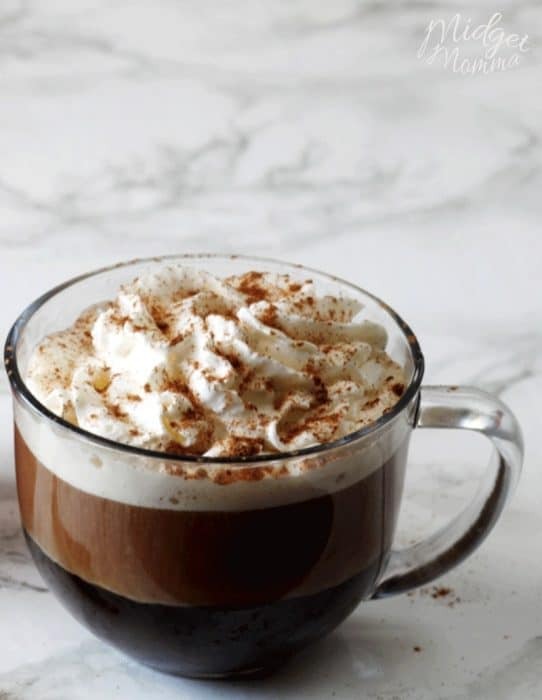 If you are wanting to make this one Weight Watchers Friendly, use 2 tablespoons of Torani Sugar Free Pumpkin Spice Syrup instead of homemade pumpkin spice syrup and skim milk instead of whole milk and it is just 4 Weight Watchers SmartPoints!